Located here in the foothills of the Blue Ridge in Charlottesville, Virginia, Strange Wind Studio is a web design & development agency operated by husband & wife team Seth Atwood & Jessica Geist. Seth has always been a compulsive problem-solver, and wrote his first lines of code around the same time he learned how to read. He has spent his life in the web. Jessica is a talented craftswoman who earned her B.A. in Computer Science from the University of Virginia with a minor in Studio Art. If you've made it this far, you're in the right place. Let's talk. 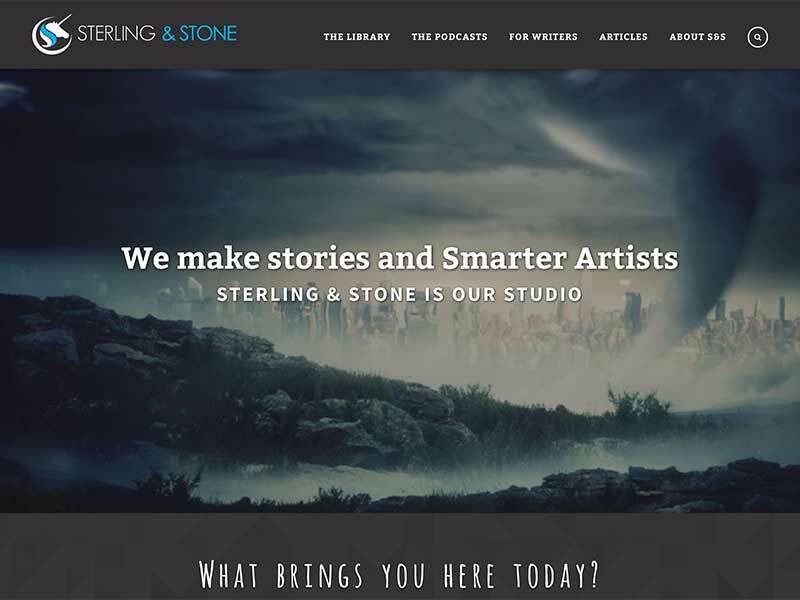 Our friends at Sterling & Stone are making a big mark on indie publishing. 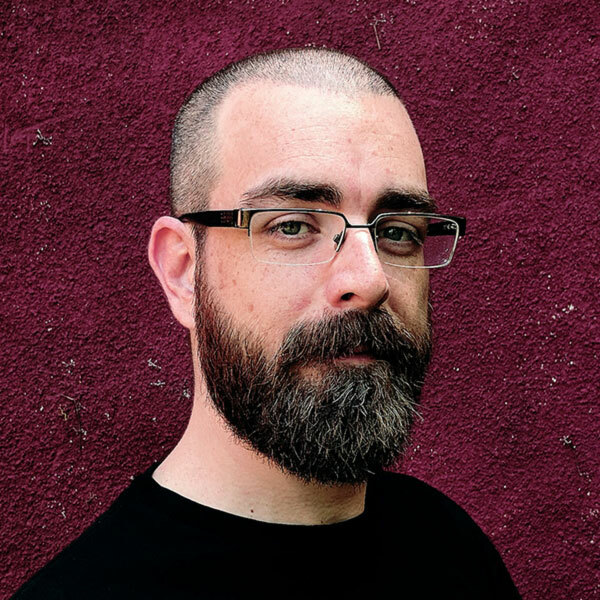 Not only are they a group of highly productive writers, but they have a thriving community growing around them by way of their several podcast series and in-person events they host for fellow indie writers and smarter artists in Austin, Texas. StoryShop is our most ambitious project to date. We partnered with the folks at Sterling & Stone on a Kickstarter campaign to develop a story planning & writing tool for authors; one that fit their productive process like a glove. With the support of over six hundred backers, the campaign was a huge success. 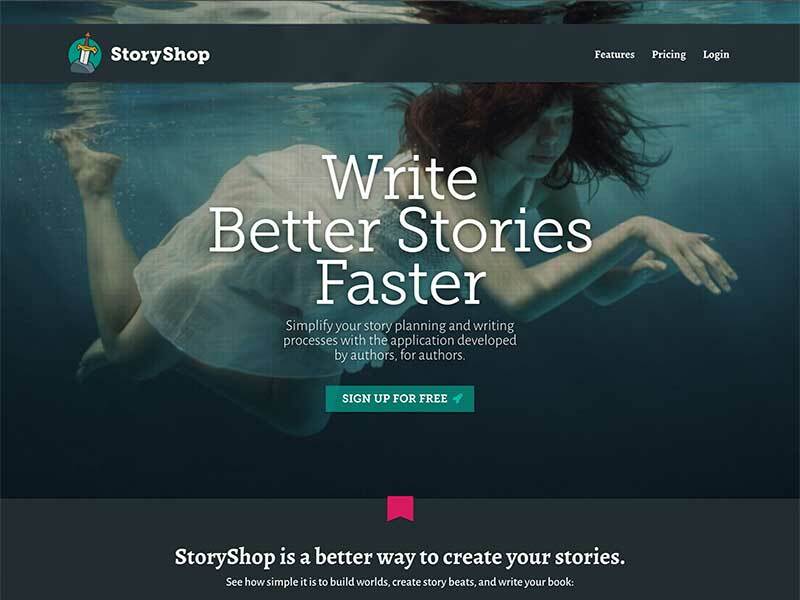 Today, StoryShop continues to grow, with thousands of authors creating their worlds & stories in StoryShop. Stories to Go is the latest offering from the folks at Sterling & Stone. They are pioneering a game-changer in the indie publishing industry: full-service coaching & co-writing. 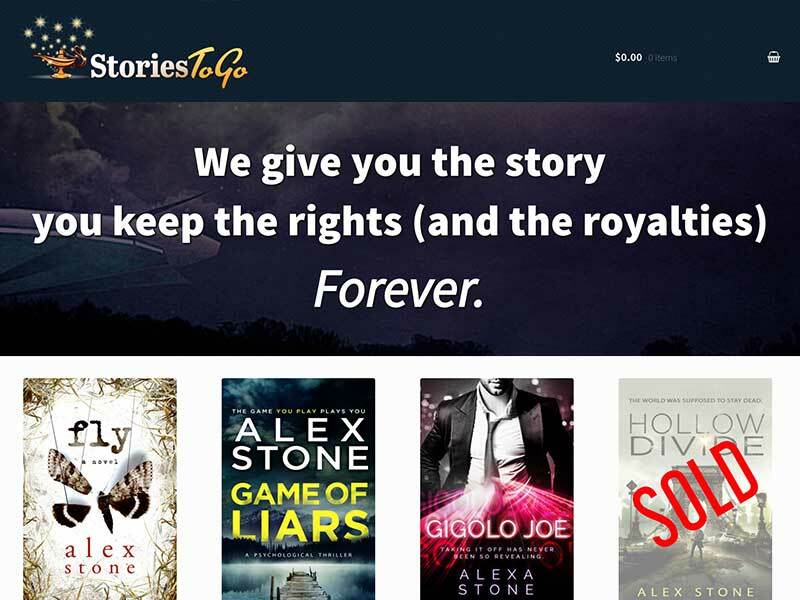 On StoriesToGo.io, an aspiring author can pick a cover and plot synopsis that strikes their fancy, then work closely with a team of storycraft and marketing experts to both write their book and make it a huge success. 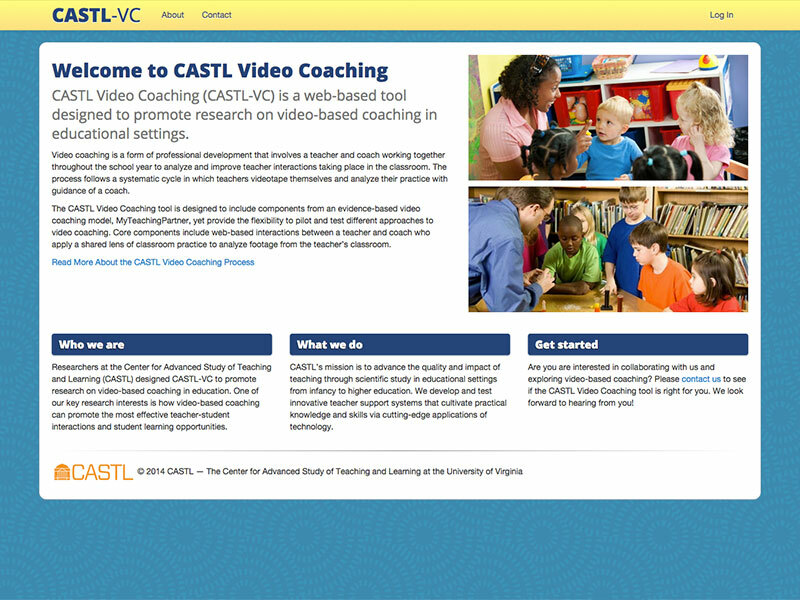 This video coaching site has been used to help thousands of teachers be more effective in the classroom. The project represents one of our more impressive system architecture endeavors. We spent weeks whiteboarding, planning, imagining, dreaming about just the database structure before we wrote even the first line of code. 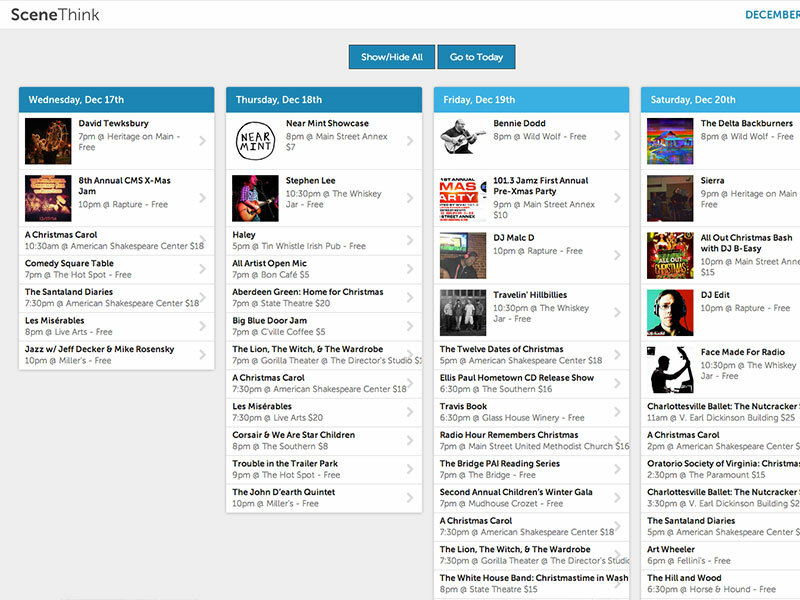 SceneThink is a new startup with big ambitions, currently letting people in Charlottesville, Virginia know what's happening around town. We were subcontracted during the prototyping phase to help with heavy lifting on the back end. The simplicity of what's seen on the surface masks wonderfully the complexity underneath. Though the site is no longer a prototype, we're proud to see our fingerprints in the genuine article. 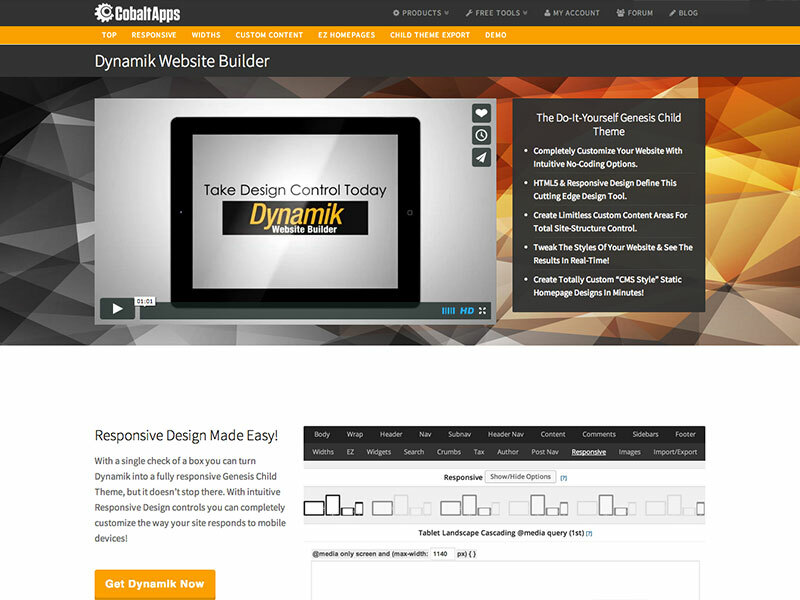 Dynamik is the product of a year-long collaboration with WordPress Theme development company Cobalt Apps. We were brought on to add some high level functionality to Frugal Theme, which became Catalyst Theme, which ultimately led to Dynamik Website Builder Child Theme for Genesis Theme. We're happy to have helped forge a toolkit that has supported thousands of fellow web developers in making great websites. 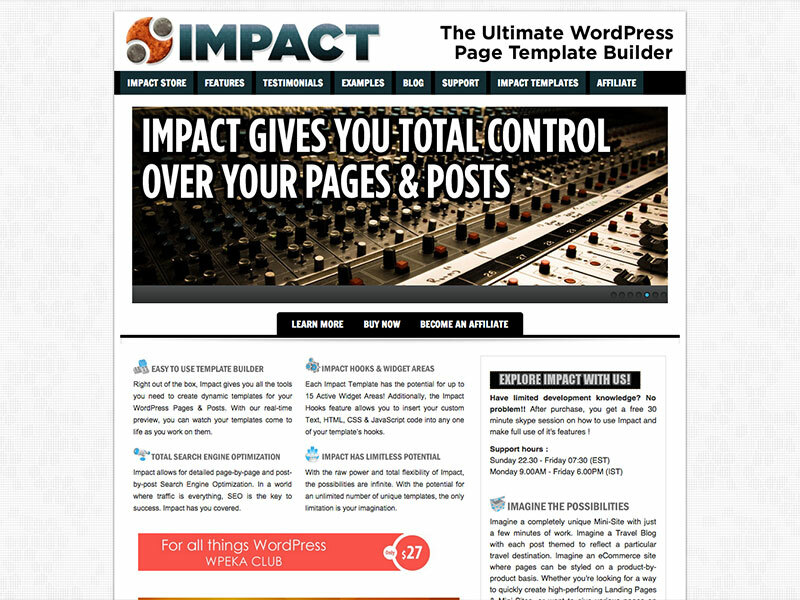 Impact is a premium WordPress plugin we built while working on Dynamik Website Builder, and addresses a problem we saw in the WordPress marketplace at the time. We sold our interests in Impact to an entrepreneur in India a few years back, but we're pleased to know that between the free & paid versions, Impact has now been downloaded over 25,000 times! 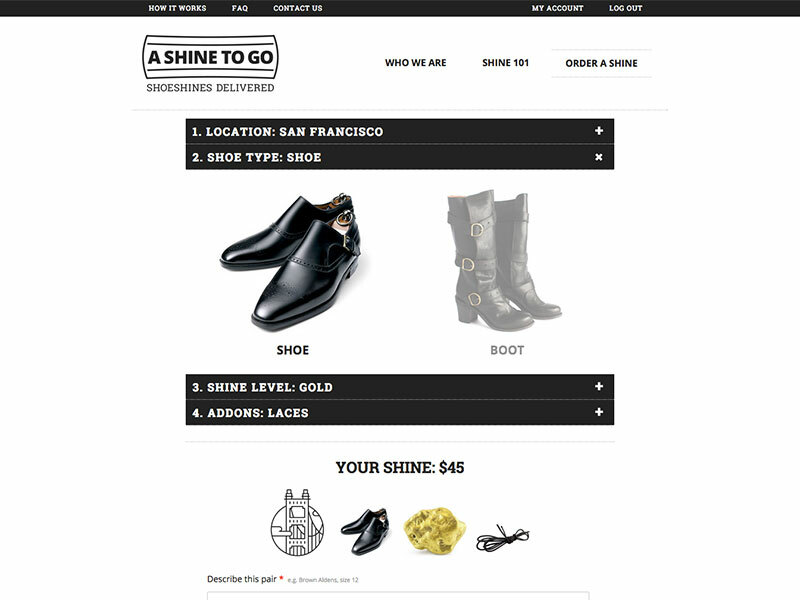 A Shine To Go offers pick up & delivery service in San Francisco & Manhattan, and mail order everywhere else. The site provides a unique experience to users seeking this high-end convenience. Clean, minimal design with an engaging pictographic vocabulary. 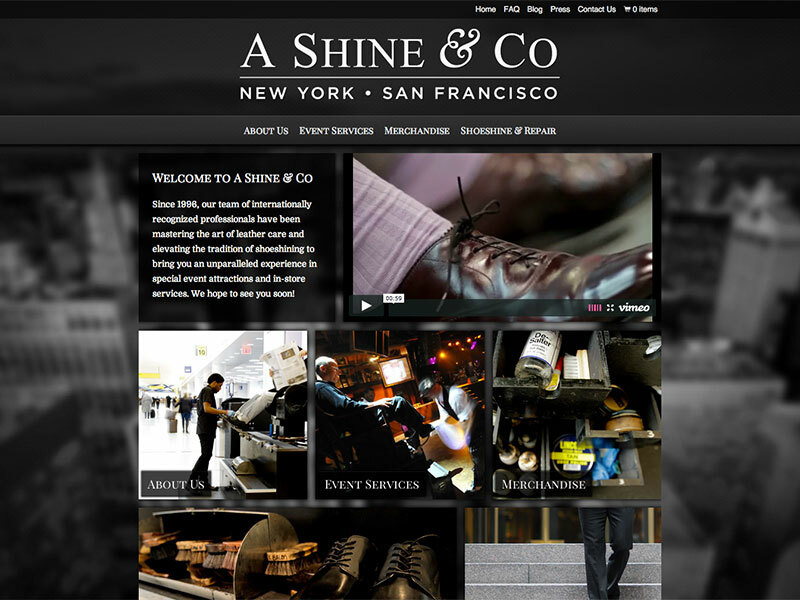 A Shine & Co is a fantastic shoeshine cooperative founded in 1996. They have a compelling story to tell and a real family dynamic. We developed their site as well as a new logo and complete rebrand, taking their hot pink swing-pop aesthetic and toning it down a notch into something classic. 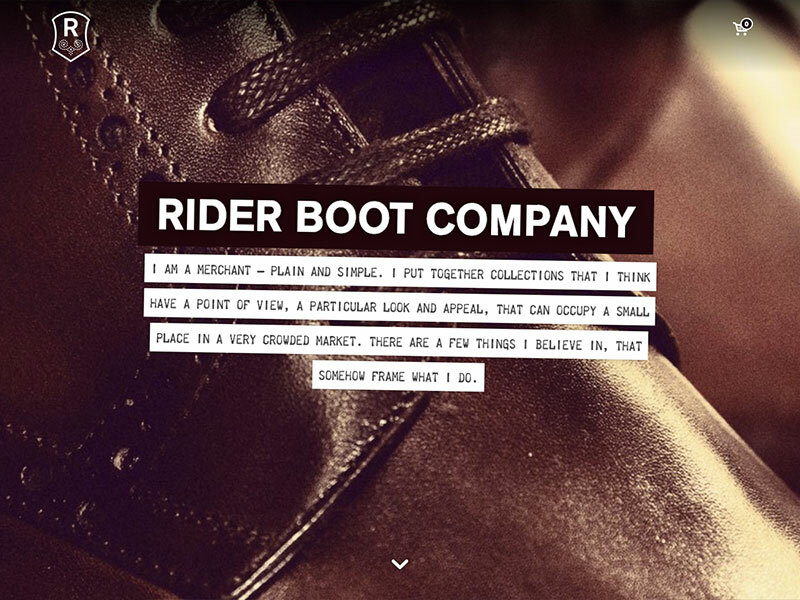 When Rider Boot approached us for a new website, we quickly discovered an opportunity to harness Ron Rider's strong personality as the base for a complete rebranding. We travelled to Rider's NYC HQ in the West Village to put ourselves in the proper mindset for penning the Rider Manifesto featured on the homepage, as well as to inform the overarching neo-post-retro-modern aesthetic. We're proud of the success we've seen with this project. 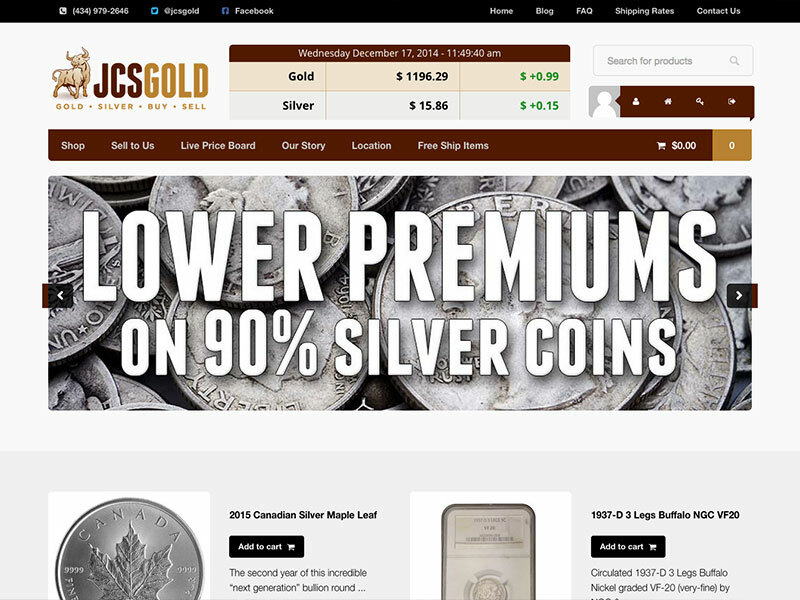 When we first started working with Jefferson Coin, they had a minimal web presence. We worked exhaustively to design & develop their site with the majority of their prices tied to live market data, and to create the Live Price Board used in their showroom to set prices for the majority of their day-to-day front counter transactions. We took this project on for Jefferson Coin in response to several similar sites that were suspected of manipulating data to serve secret interests. Our guiding principles were honesty, transparency and simplicity. 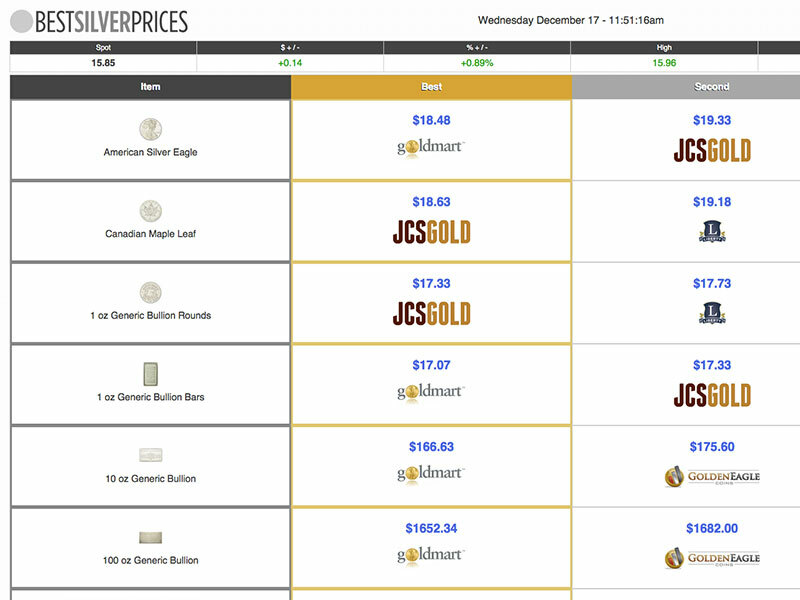 Jefferson Coin is confident they provide the very best service in the industry & their pricing is fair, so they don't mind showing their hand. 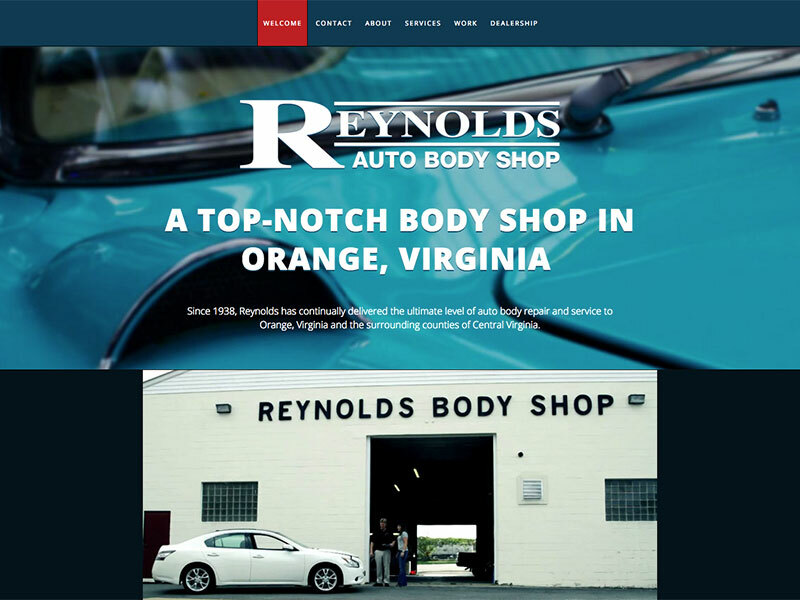 From the beginning, we set out to make the most stunning & captivating small town body shop website ever. We're pleased to say we think we hit the mark. 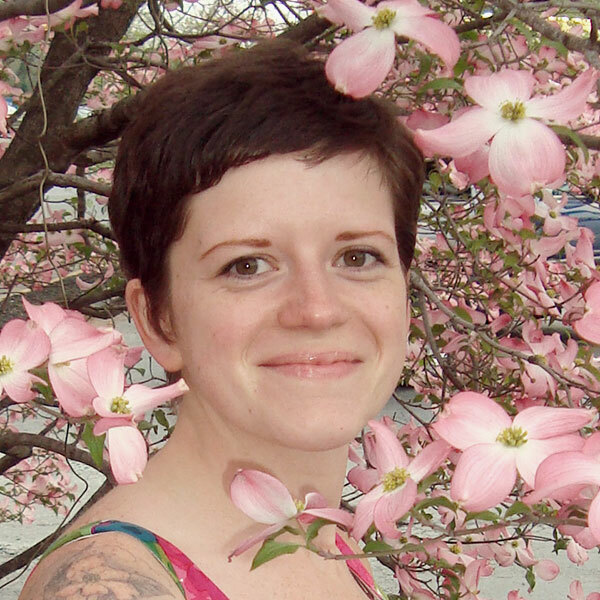 As with some of our other projects, a major keystone is the work of our videographer friend in Brooklyn, Christina Reilly. She's totally on our wavelength. 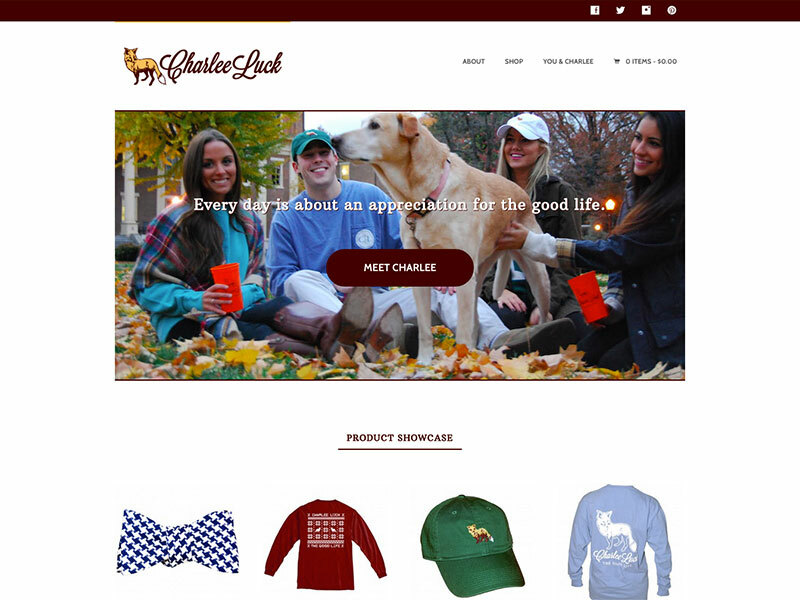 Charlee Luck is a startup clothing brand in its infancy, providing prepwear and a sense of belonging to college students & alumni who value the pursuit of an ideal - The Good Life. In a crowded marketplace, Charlee Luck is gaining traction and their clean, focused website is the cornerstone. 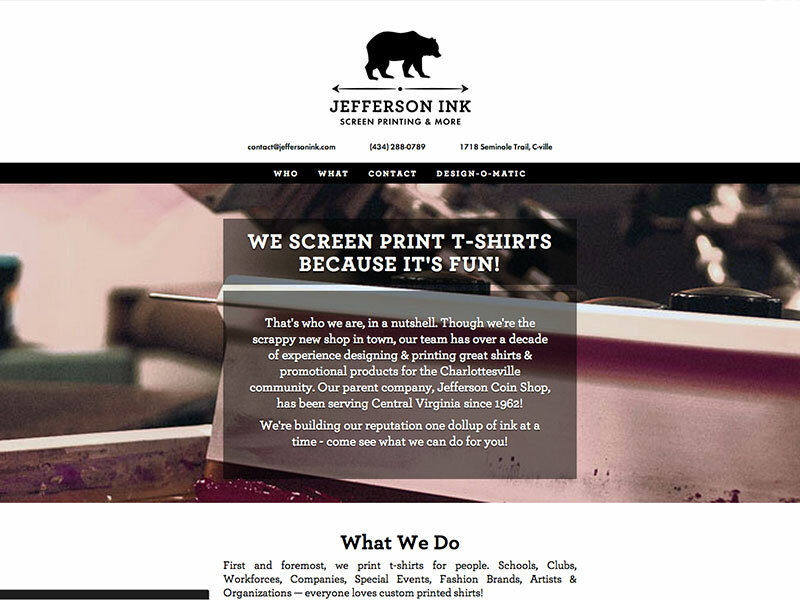 Jefferson Ink is a new screen printing company in Charlottesville, Virginia that formed when its parent, Jefferson Coin, acquired a new headquarters and had a few square feet to spare. An interesting feature of this project is in the logo we designed - it features a dozen different animal silhouettes to be rotated across applications.